Southwest Paper stocks all common basis weights of corrugated medium. The number one use for medium is the “Flute” portion of a corrugated box. Southwest Paper markets our Medium as an alternative source for Kraft Liner Board. Medium is provided in the same basis weights as Liner Board but offers a competitive advantage based solely on a more economical source to meet your packaging needs. Medium is comprised of 100% recycled fiber. GO GREEN! Medium is measured on a 1000 square foot scale. When comparing Basis Weight to light weight kraft paper, you must convert the basis weight to a 3000 square foot scale. You can do this by simply multiplying the basis weight by 3. 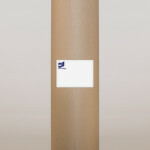 For example, a 33# Medium is equal to a 99# kraft paper.